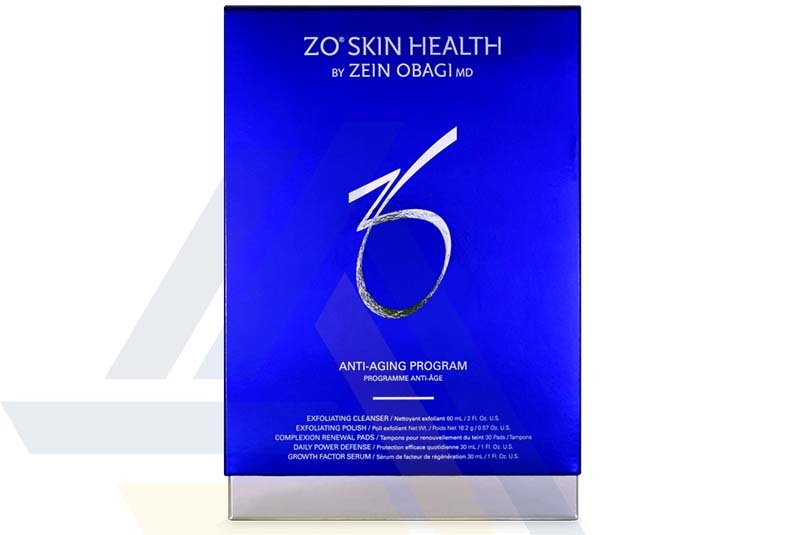 Oder ZO Phase 2, Anti-aging program from Ace Medical Wholesale. This skin-care set consist of six products: Zo Offects TE-Pads Acne Pore Treatment, Zo Oclipse Sunscreen + Primer SPF 30, Zo Ossential Growth Factor Serum Plus, Zo Offects Exfoliating Polish, Zo Offects Exfoliating Cleanser, and Zo Ossential Daily Power Defense. Designed for patients between 26 and 44 years of age, these anti-aging products significantly reduce the look of fine lines and wrinkles and other aging signs while protecting the skin from future damage. They also help to promote skin cell repair and turnover.